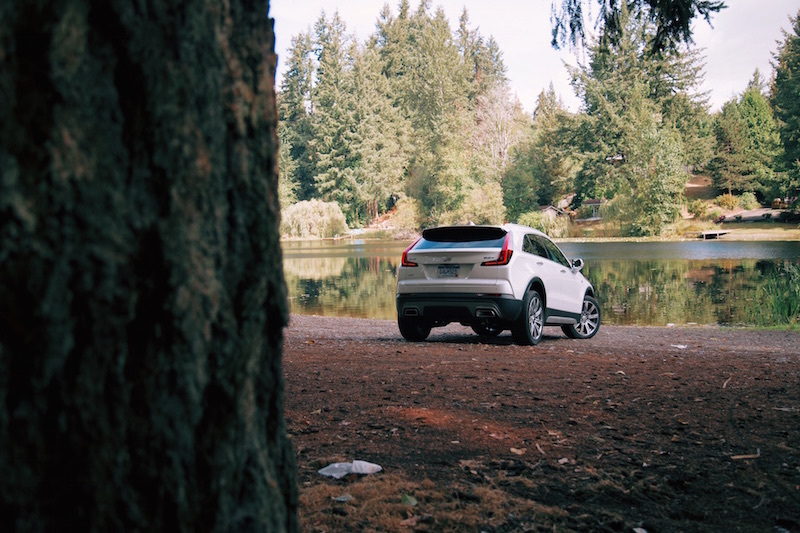 SEATTLE, Washington - The Cadillac XT4 may be late to the party but it’s better now than never. The XT4 is Cadillac’s vanguard into the luxury compact SUV market, slotting right under the XT5 and aimed squarely at the BMW X1, Mercedes-Benz GLA, and Audi Q3. 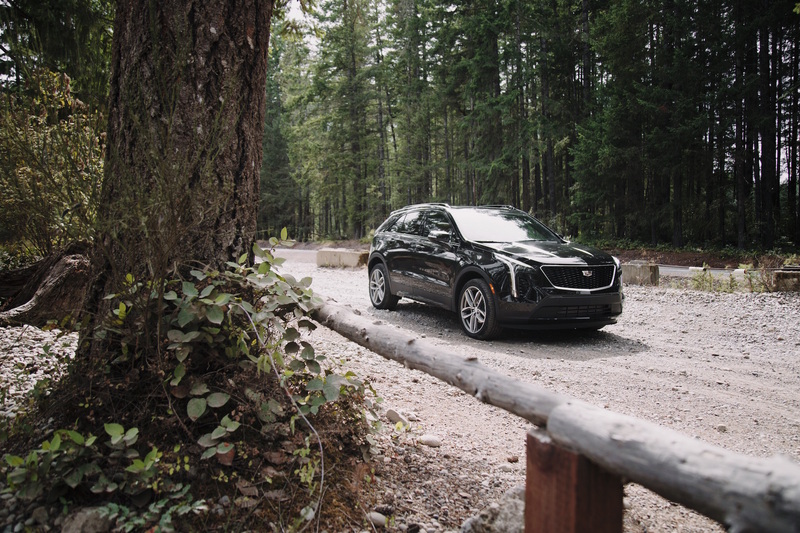 With a handsome silhouette and what their designers touted to be “what an Escalade would look like as a puppy, with oversized wheels and overemphasized headlights,” the XT4 has enormous presence that really grew on me as I drove it through some back roads west of downtown Seattle. 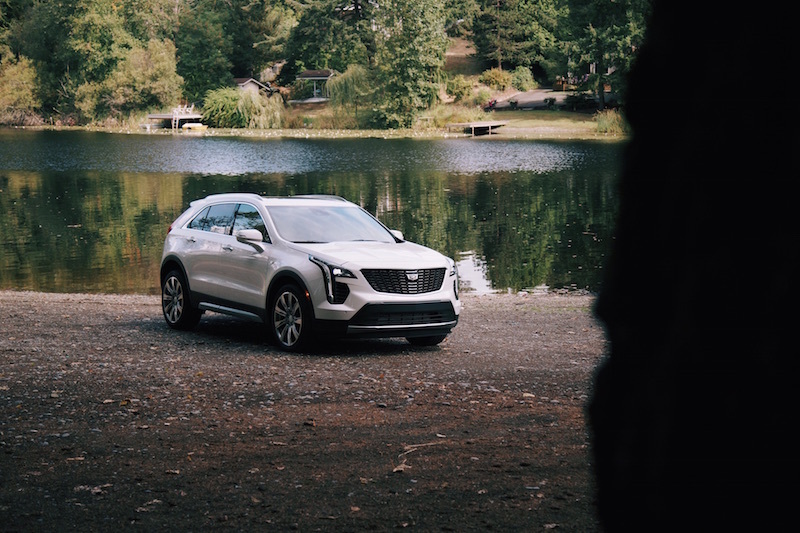 With the XT4, Cadillac is clearly targeting a younger demographic than they are used to, and their team of youthful designers have found a way to create a shape that is not only attractive, but refreshing in a field littered with hunchback and awkwardly proportioned SUVs that look like they’ve picked a shirt size too big. 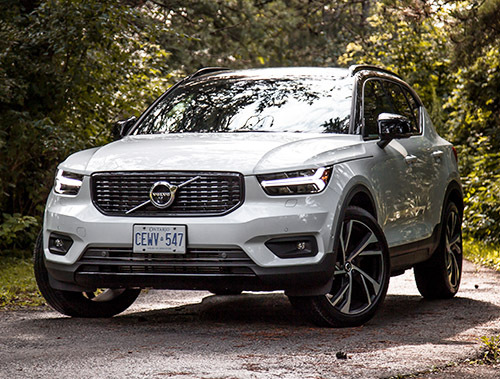 On certain XT4 trim levels, these features include a black mesh front grille inspired by V-Performance models, smoky taillights, and a wide array of daring paint colours. 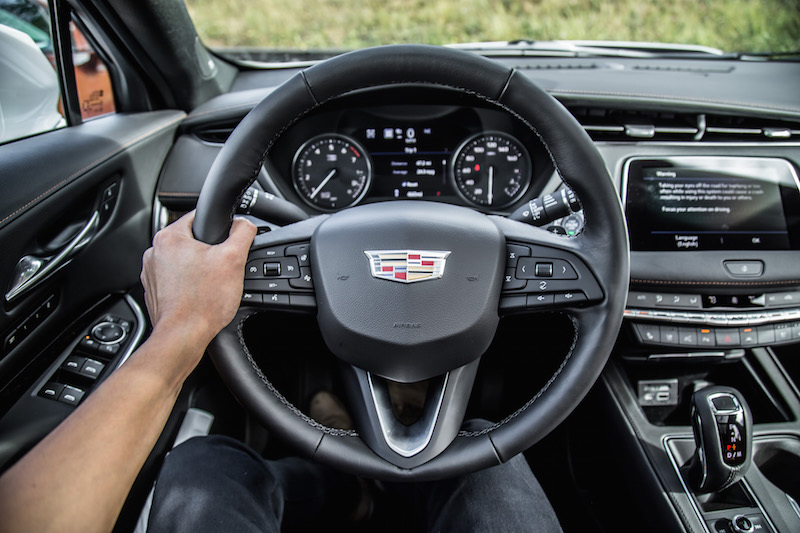 The theme carries into the interior where I believe Cadillac has finally nailed a design language that jives with their brand, their intended audience, and justifies the price premium over its GM cousins. 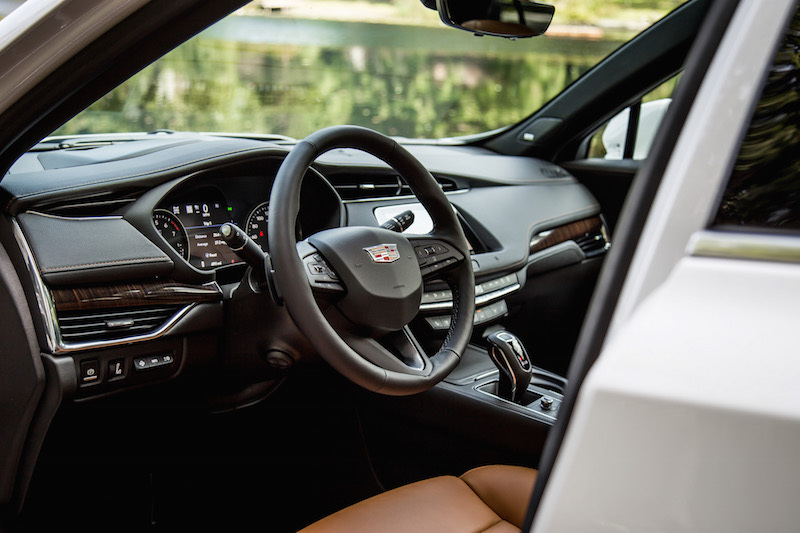 The cabin is clean and clutter-free, and previous Cadillac owners will notice that they have scrapped the frustrating touch capacitive slider units. In its place are toggle switches that work well and feel expensive, and more importantly I don’t need to take my eyes off the road to tweak the temperature. 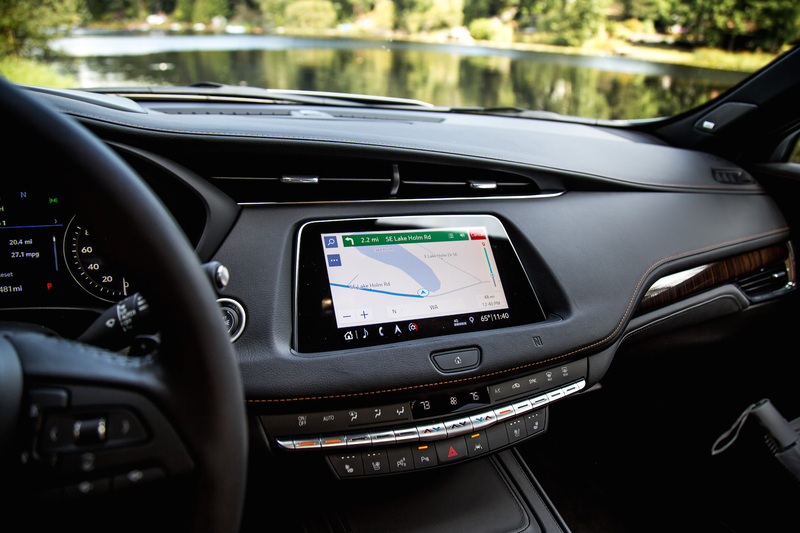 The revised infotainment system is a breeze to use and has come a long way from the infamous CUE system that nobody but us seemed to appreciate. 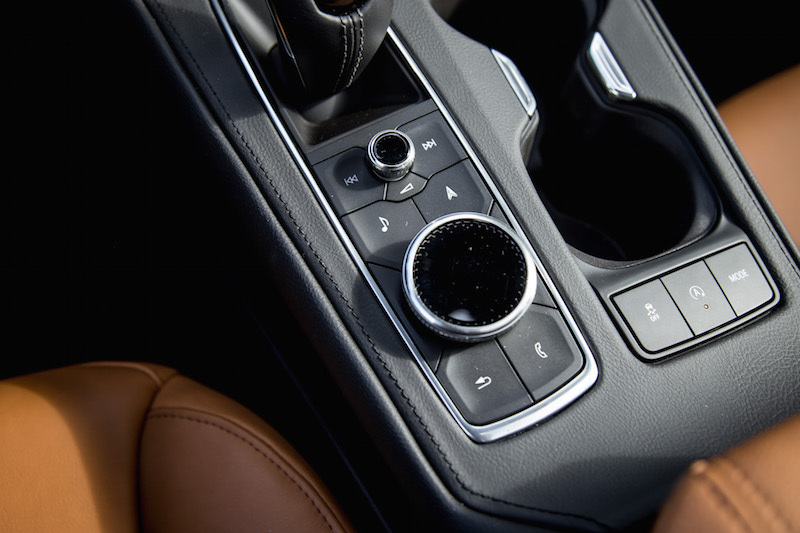 This new interface can be controlled via the touchscreen or a rotary dial situated underneath the gear shifter – a volume dial is flanking it from above too in a Mazda-style format for easy reach. The screen is high-definition, utilizes large button prompts, and offers a short learning curve that anyone with a smartphone will understand. Furthermore, having a dedicated home button underneath the screen is an underrated feature I want to see on more vehicles. 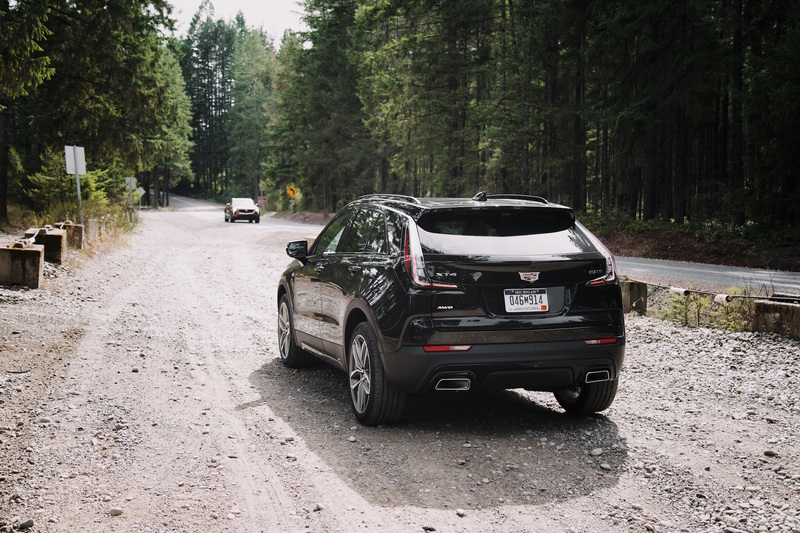 Like how the XT5 is slightly larger than its direct rivals, the same goes for the XT4. 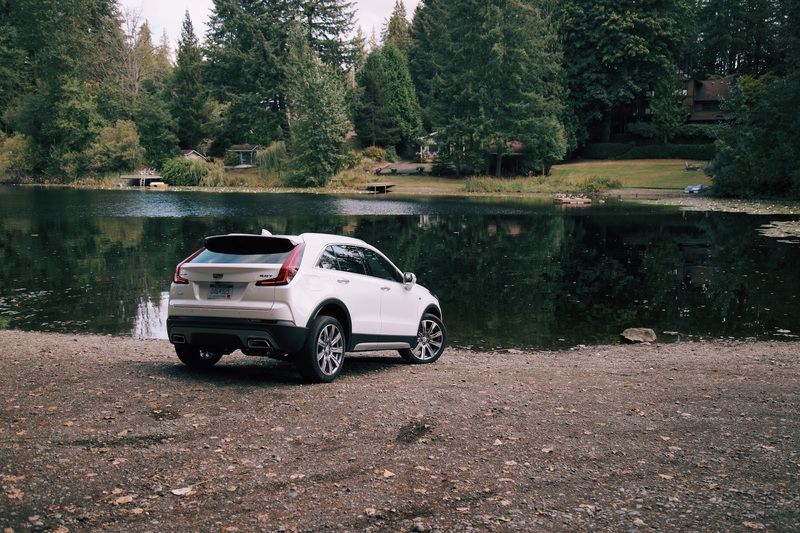 Not only does that lend a hand to levelling out exterior proportions, but it also translates into more cabin space than the BMW X1 and Mercedes GLA. The overall atmosphere, aided by a massive sunroof, feels much more spacious and airy, something a taller passenger like myself greatly appreciates. Let’s just say you won’t find yourself fighting for the armrest with your co-pilot. Though I wouldn’t say the rear seat accommodations are comfortable for my six-foot stature, I am snug when sitting behind myself with just enough wiggle room to quell any short-haul complaints. 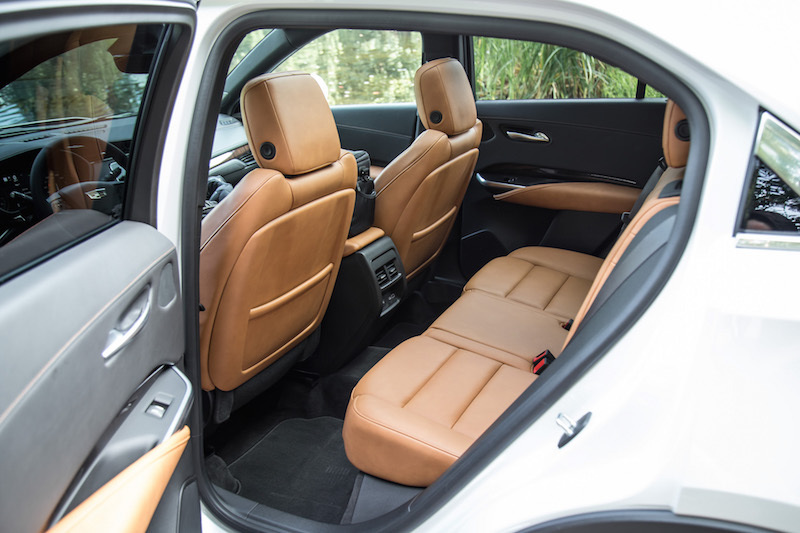 The seating position in the XT4 is also much better than its competitors, as you don’t sit as far up or angled as far forward. You sit more like you do in a sedan, which I wholeheartedly prefer, and the electrically-adjustable steering wheel is an added bonus. 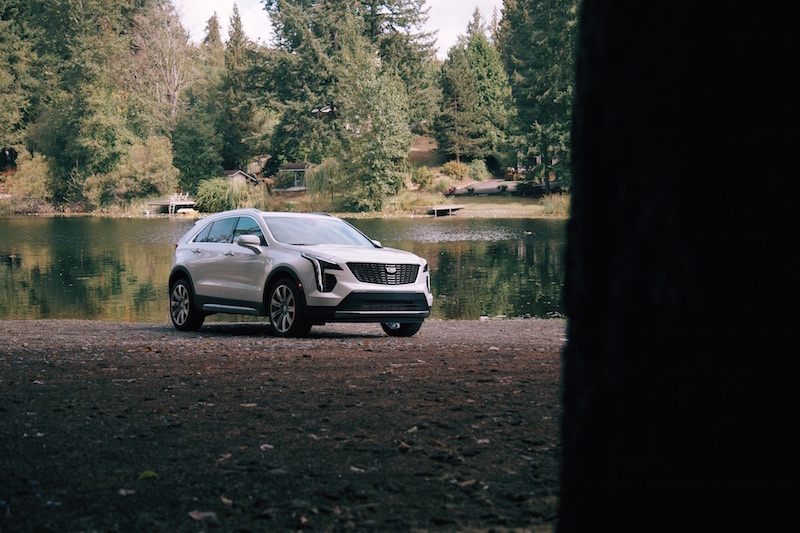 While speaking with the Cadillac engineers that built the XT4, they told me that constructing a fun driving experience was a top priority to attract that younger demographic. That allowed them to focus on torque response, body control, and overall efficiency, ultimately developing into the ethos behind the XT4’s powertrain. Under the hood is a brand-new 2.0-litre turbocharged four-cylinder that will be the only engine available for this ute, and produces 237 hp and 258 lb-ft through a 9-speed automatic transmission. 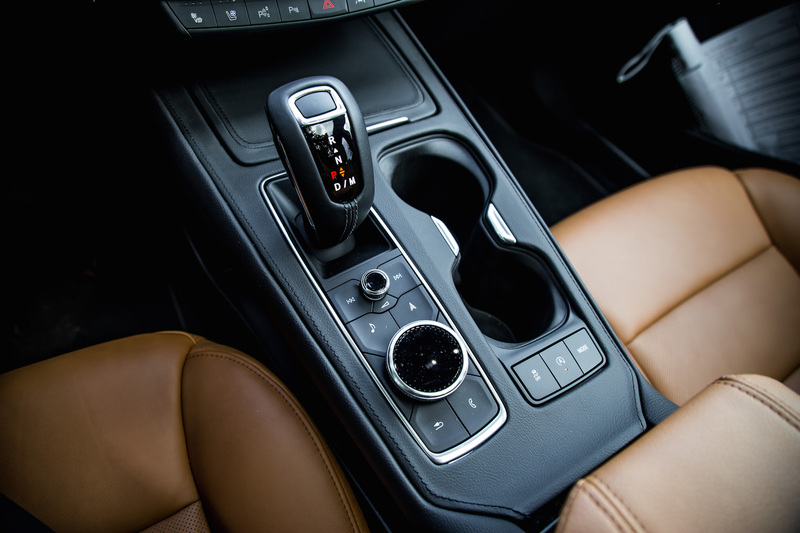 Optional on the base Luxury model but standard on the rest is a twin-clutch all-wheel drive system that can independently control the torque being sent to each rear wheel, as well as decouple from the rear axle entirely to save fuel. Utilizing a speedy twin-scroll turbo, a valvetrain system with three different operating modes for different driving conditions, and cylinder deactivation that can shut down two cylinders under light loads, this new turbo-four is one clever motor. The power may not seem like much on paper but in reality, the XT4 is potent. 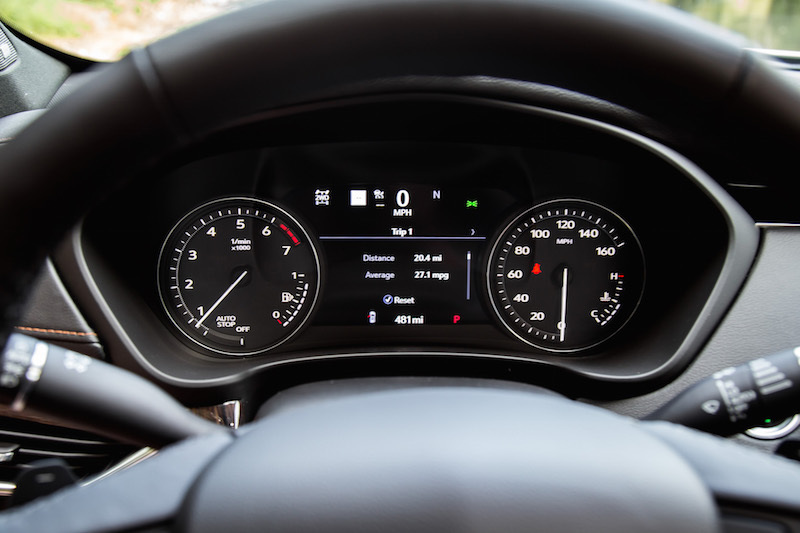 Maximum torque is produced right at 1,500 rpm and is pretty much flat all the way up to 4,000 rpm where the majority of drivers tend to hang around. The turbo is incredibly quick to spool and you’ll feel only a hint of lag when prodding the gas pedal for some extra juice. You won’t have any trouble keeping up with traffic on the highway, and will find the consistent wall of torque useful when overtaking and making speedy maneuvers. The in-house-built 9-speed stands out to me, as it is much smoother than I expected. This gearbox sacrifices a bit of shift speed for a gentler and creamier transition between gears and I’m all for it. 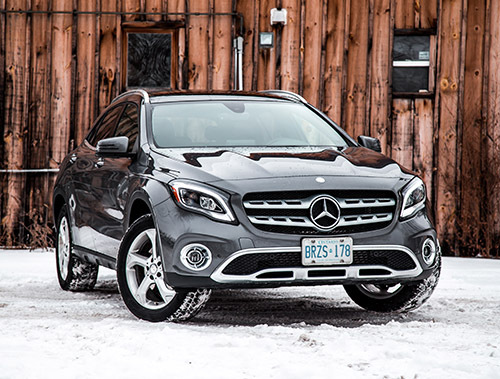 Gear changes are all but imperceptible when cruising along the highway or through city streets, and it feels perfectly married and in-tune with the engine, creating a powertrain that is much more refined and compliant than the GLA 250. 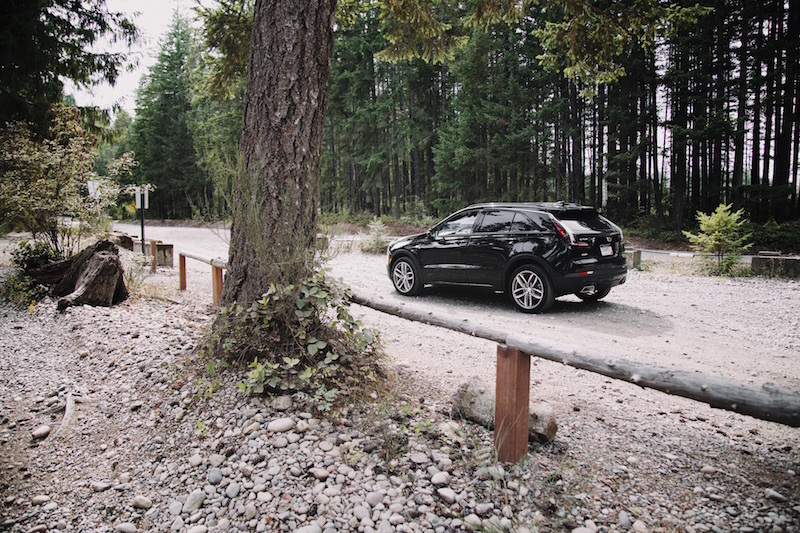 The XT4 comes equipped with electric power steering that faithfully builds up weight when loading up in a corner but it’s far from sporty, not that we expected it to be. But it is the new electro-hydraulic brakes that raises an eyebrow. 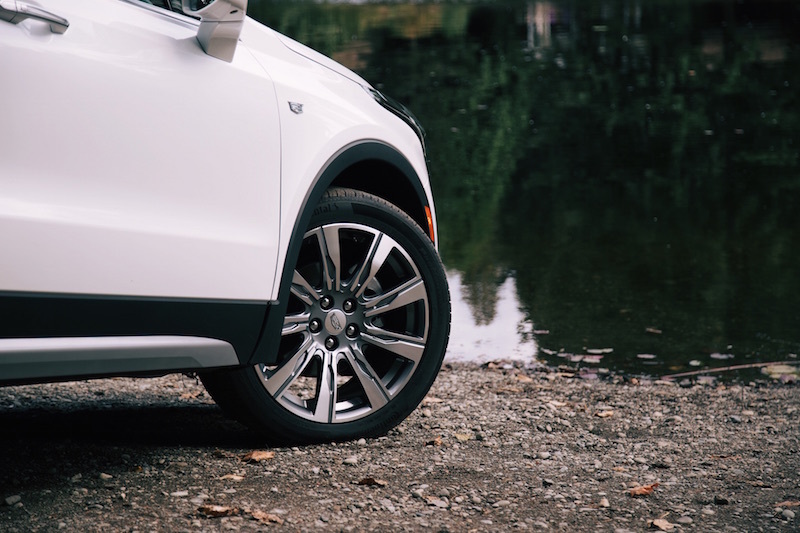 Unlike conventional brakes, there’s an electric motor assisting with pedal feel and function, allowing engineers to create a consistent pedal experience no matter the slope or speed. I understand why they choose this design and its advantages of taking up less space under the hood and assisting with fuel efficiency, but the execution takes some getting used to. I don’t want to call it out as detrimental as I am pretty sure if I had more seat time I would become accustomed to it, but the hybrid-like pedal was springy, soft, and did not give me a clear indication of the immediate levels of braking and tire grip. 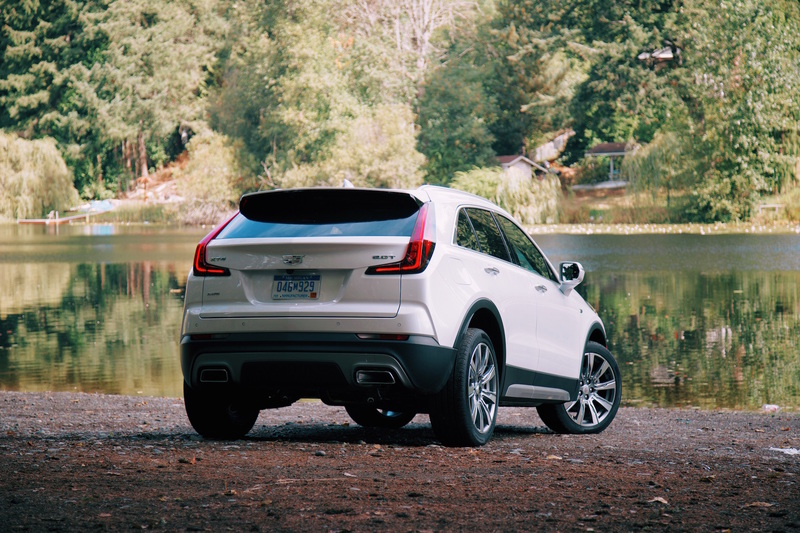 The XT4 with the Sport trim is available with an optional adaptive suspension that will continuously monitor and adjust the dampers to ensure proper ride quality, but I’ll be straight up and say that even after a back-to-back drive with an XT4 with fixed dampers, I could hardly detect a difference. 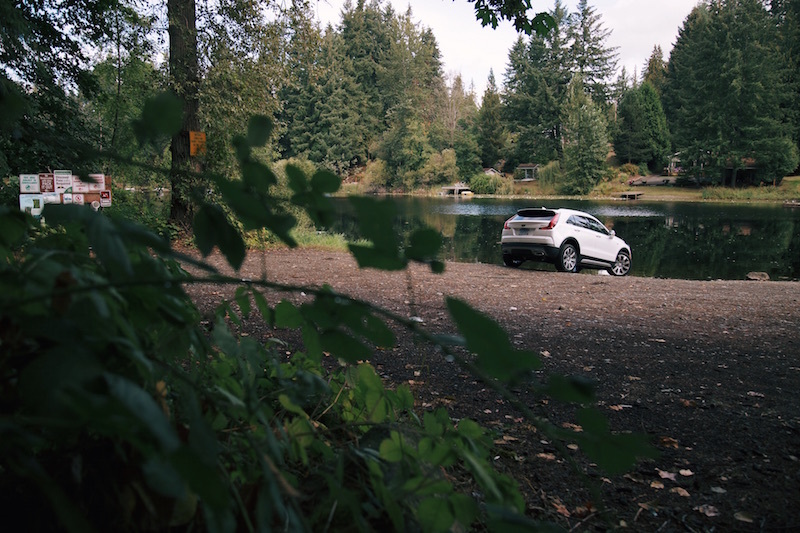 The standard XT4 already feels perfectly damped and suited towards Seattle roads that I don’t believe the option is required. Perhaps we need to take the XT4 to some familiar roads back home to truly get a sense of it. 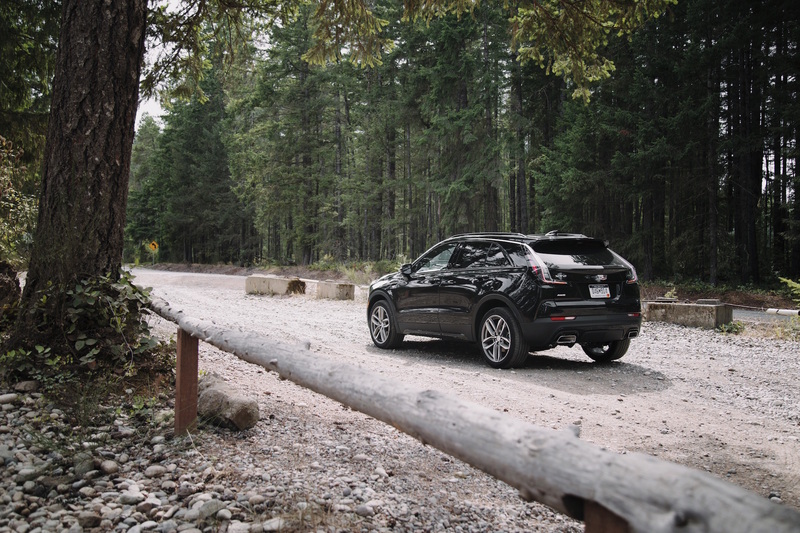 Nevertheless, body control is excellent and though lean was typical of a small crossover of this stature, the XT4 handled my spirited driving bouts through some twisties without breaking a sweat. 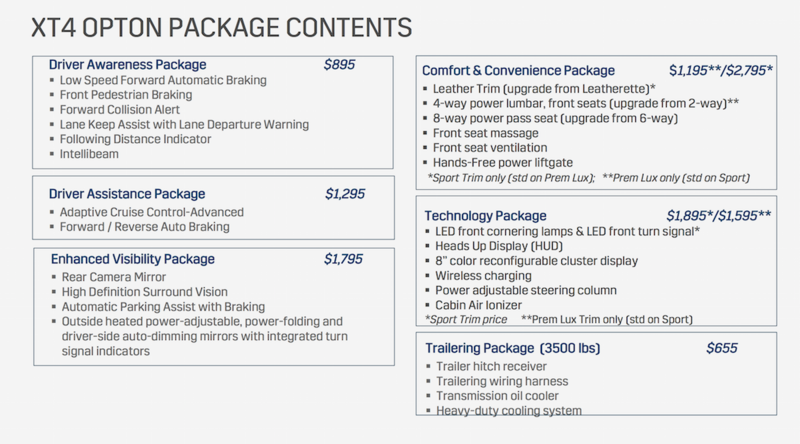 Cadillac has graciously kept the XT4 lineup simple and offers just three trim levels: Luxury ($37,900), Premium Luxury ($46,295), and Sport ($46,295) - these prices do not include the $2,000 destination charge for Canadians. The base Luxury model comes with a dizzying array of standard fare options like 18-inch wheels, LED lights, leatherette seating, 8-way and 6-way power-adjustable front and passenger seats, remote start, 4G LTE connectivity, keyless entry, and more importantly to Canadians, a heated steering wheel and both heated front and rear seats. 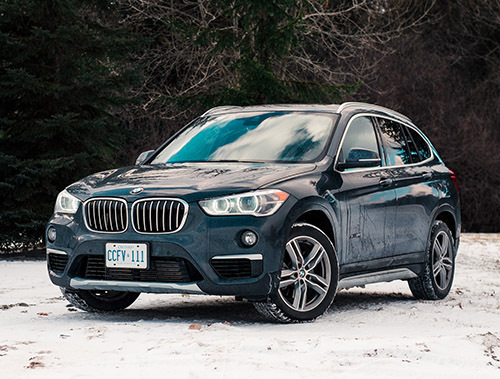 Front-wheel drive is standard, and all-wheel drive costs an extra $3,395. 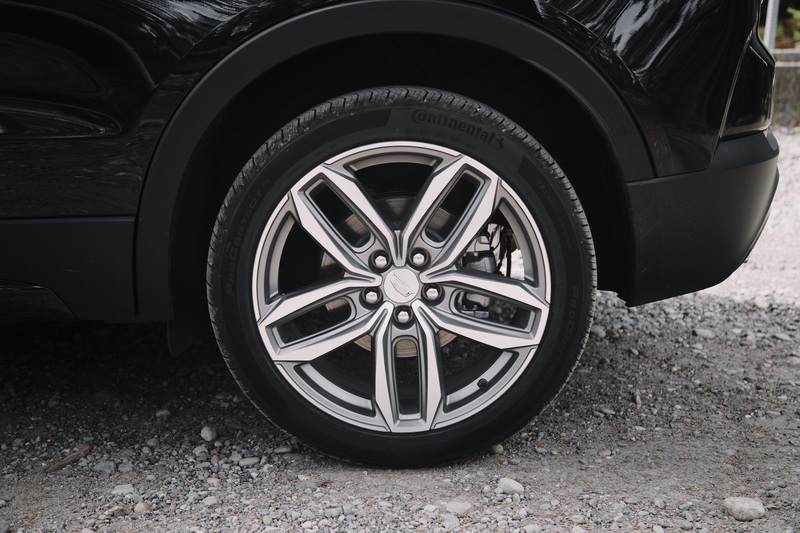 Both Premium Luxury and Sport models come standard with all-wheel drive and offer top-level features at the same price but are catered towards different audiences. Ponying up to Premium Luxury decks the XT4 out in more bling with fancier wheels, metallic body accents, illuminated door handles, front and rear park assist, power folding mirrors, leather seats, wood interior trims, a power liftgate, and a suite of driver assistance technology including Lane Change Alert, Blind Spot Monitoring, and Rear Cross Traffic Alert. Sport models on the other hand add a more youthful, bolder, and more aggressive look to the XT4 with tinted taillights, gloss black exterior finishes, sportier wheels, body-coloured door handles, leatherette seats, a sport steering wheel, a power liftgate, and a carbon-fibre interior trim that can be swapped for wood as well. 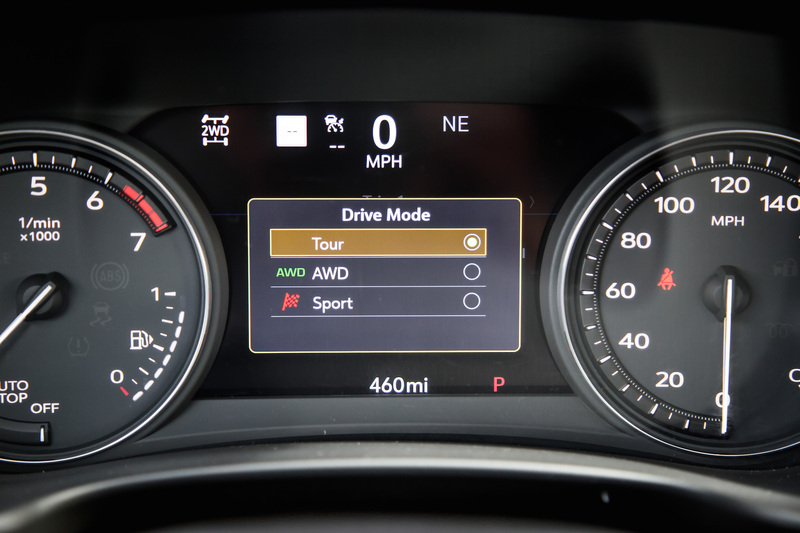 The Sport comes with the same driver assistance features as Premium Luxury. 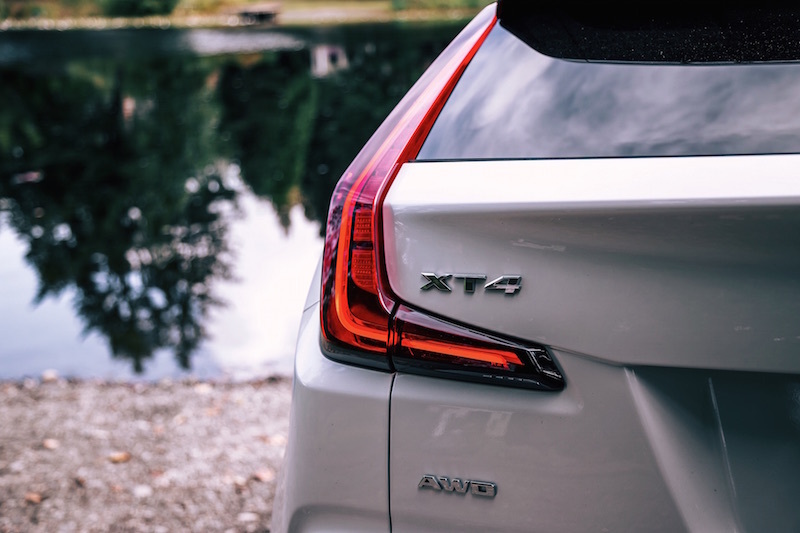 The XT4 is a bold new entrant into the heated compact SUV market and notably stands out with a spacious cabin, excellent rear seat accommodations for its segment, smooth 9-speed transmission, and clever turbo-four engine. 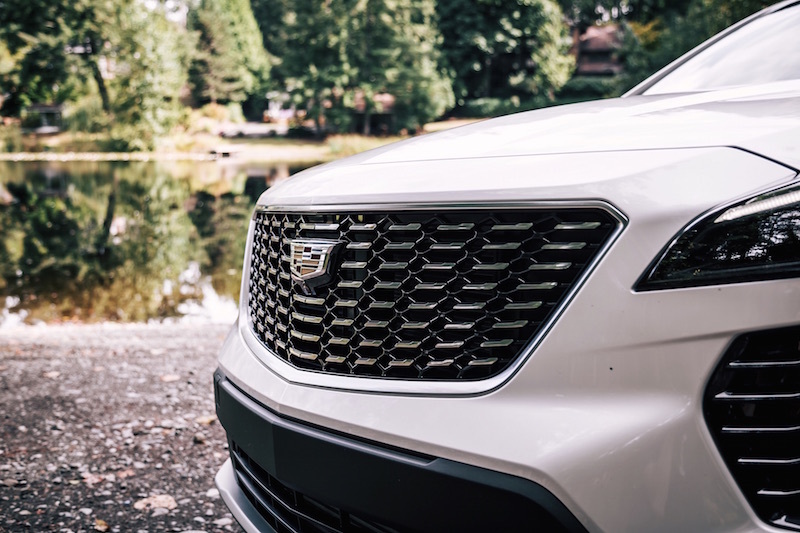 In my opinion, the XT4 is the most important Cadillac to be coming out of their showroom this decade, offering new and younger buyers a gateway into this luxury brand’s umbrella. 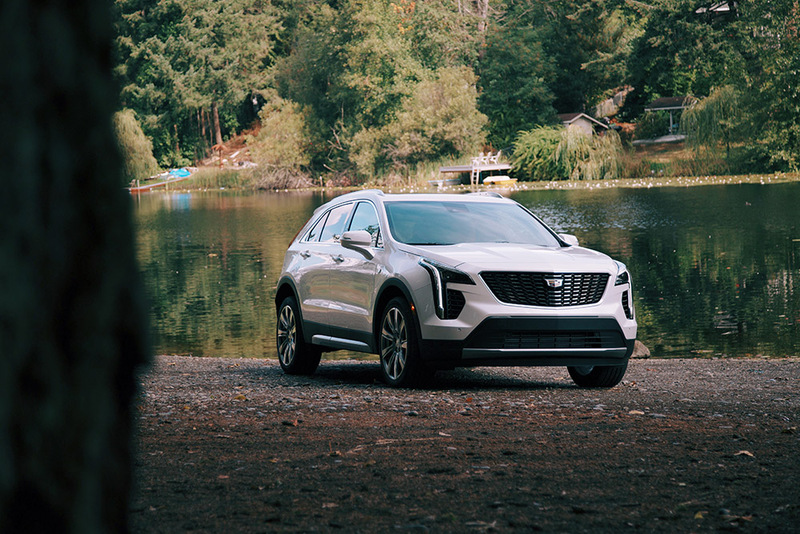 Though we haven’t heard much from Cadillac in the past few months other than its Super Cruise feature, they plan to release a new model every six months until 2021, and it all starts with this XT4. 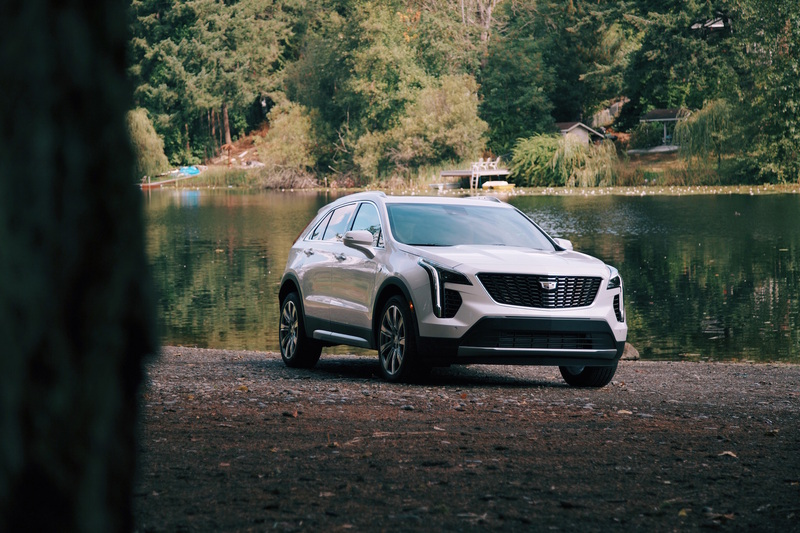 With Canada being their third largest market right under China and USA, I can only imagine what treats they have in store for us: a three-row SUV, an XT5 Coupe, or possibly an Escalade replacement? 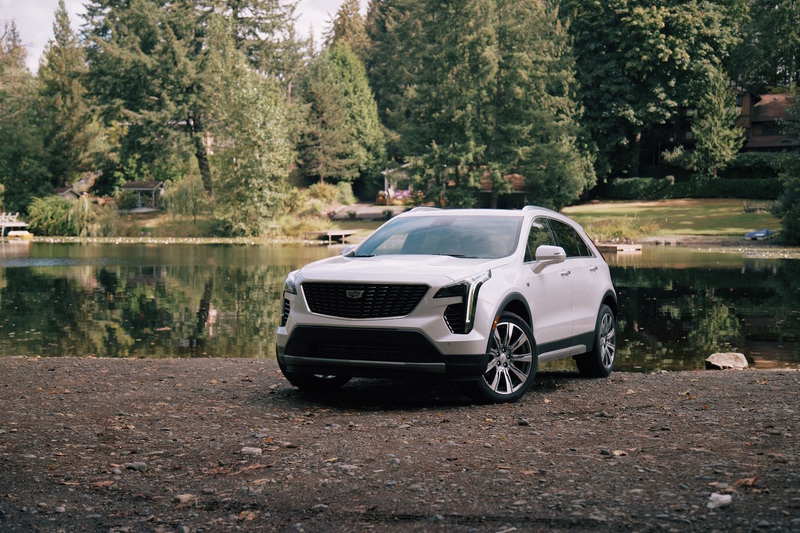 We can’t read into a crystal ball but if the XT4 is any indication of the technology, refinement, and dedication Cadillac has put into their SUVs, then the future is bright and worth waiting for.